Presstex ColorLife Classification Folder feature a reinforced expandable Tyvek gusset. Made of durable acrylic-coated 15 point cover stock. Six-part file has two center leaves. 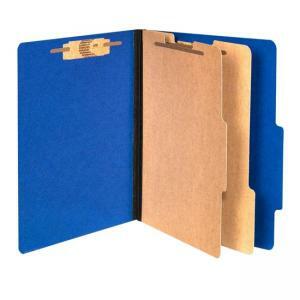 Top-tab folders contain 50 percent recycled material.